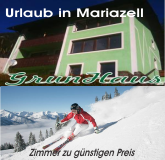 Snow and fun for all the family is the motto at the Mariazeller Bürgeralpe. Guests can choose from 8 slopes over a total of 11 km catering to all levels of skiing expertise. From pros to beginners, our slopes, which have been tested and awarded the Styrian seal of approval, are perfect for everyone. Starting from the top station in 1.626m height to the base station at 800m, you will spoil the Gemeindealpe with pure snow fun. Our groomed trails invite their width for snowboarding and a carving. Snow lances 30 and 12 snow machines snow in the slopes of the central station to the valley. Annaberg, where winter is more fun. The pleasant ski resort is located at an altitude of 800 to 1400 m in the middle of the Ötscherland and Mariazellerland. The impressive panorama of the Ötscher is its trademark. Slopes for all levels of ability, from the beginners' practice run to the steep slope for experts. Niederalpl - a ski area, which for over 30 years our guests fascinated because of its varied landscape and the various possibilities to spend the holiday. A modern quad, three ski lifts, a rope tow and 8 km of perfectly groomed slopes makes your heart beat faster every winter vacationer. Die Umfahrung des Steilhanges am Gipfel der Gemeindealpe wurde breiter gemacht. Die neugebaute Rollerstraße ist wird eine Familienabfahrt. Sie ist die längste zusammenhängende Famlienabfahrt in NÖ, vom Gipfel bis ins Tal. Zwei moderne Seilbahnen bringen die Gäste von 800 m Seehöhe auf 1626 m Seehöhe in eine einzigartige Panoramawelt. Schöne Abfahrten und Tiefschneehänge lassen Schi - und Snowboarder HERZEN höher schlagen. Ein Tellerlift für Anfänger und Kinder gehören natürlich zu unserem Angebot. Wir haben mit 7 km die längste zusammenhängende Familienabfahrt in NÖ, vom Gipfel bis ins Tal! Das Team der Bergbahnen freut sich auf Ihren Besuch.